Opportunities to Have Your Own Pet Care Franchise with Aussie Pooch Mobile Dog Wash – Do You Have What It Takes? Do you pet sit not just for money, but also because you adore being with dogs? Do you like to take care of them? Perhaps you’ve dismissed the dream of becoming a vet because the studies are so daunting. Being a vet is tough work while being a pet groomer is lighter but equally rewarding. Imagine a career as a pooch carer. 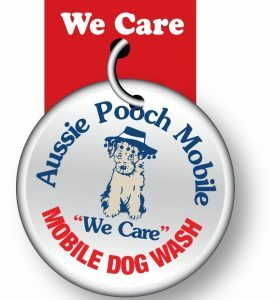 At Aussie Pooch Mobile Dog Wash, we offer pet care franchise opportunities! Does a pet care franchise sound like dog’s woof in your ears? The easiest one first: you must love dogs. You must care… in more sense than one, not just for your dogs and their masters, but also for your business. Your own business involves a considerable investment of energy, especially in the beginning. You put a lot into it but get so, so much out of it too. No experience is necessary, but a willingness to learn We’ll be by your side from the moment you start and will teach you every necessary aspect of your new business. Love the sun, and don’t shrink when it rains, pours, or even snows. Our fully equipped, weather proof trailers are great for all weather conditions but it is a pet mobile franchise, after all, so you will be outside most of the time. The colour red must become you. Have no worry; everyone looks good in our Aussie Pooch Mobile outfit and it is a great way to market your new business. By the way, while you must have a driver’s license, nobody is too old or too young to start this enjoyable career. If you feel that our pet care franchise opportunities are something for you, then let us know. We’ll provide full training, including an Animal First Aid Certificate. No need to sit for hours at your computer, trying to cope with complicated bookkeeping programs. Our WOOF e-Diary software will help you to manage the administrative side of your job. Our initial franchise package includes an Aussie Pooch Mobile dog washing unit, the necessary equipment and a starting supply of our Australian made pet friendly, solutions. You don’t need to mobilise your friends and family to start your base of clients. Your working territory will be exclusive, guaranteeing a minimum of competitors. An advertising campaign will get you, and your business launched rapidly. Don’t be afraid to make a mistake or two; you’ll learn a lot from those, and your initial Aussie Pooch Mobile franchise package is on a “try before you buy” basis. Financially we will offer you a trusted, established brand with a proven track record of franchisee success over 26 years. If you can only start with a limited budget, we’ll work on a solution together. Your self-motivation and outgoing personality are much more valuable to us than any starting capital. Does the idea of being your own boss appeal to you, or do you need more information than what our website provides? Contact us; we can’t wait to get to know you.